Fantastic Sea Oaks Mobile. 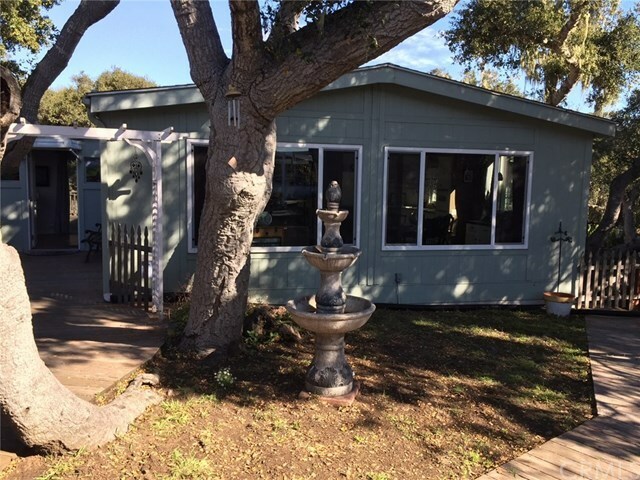 Sea Oaks is an over 55 Park located in beautiful Los Osos. The home is on a large, serene, magical lot among the oaks. Some would say this is the best lot in the Park! 2 Bedroom 2 bath, large kitchen, and a wood pellet stove for those cool beachy evenings. This house exudes charm - come and see for yourself! It has dual pane windows and was recently leveled. There are two bonus areas: an entry way (approx 12 x 10') and the back porch (aprox 12' x 8') not included in the square footage. Rent to new owner will be approximately $799 per month.